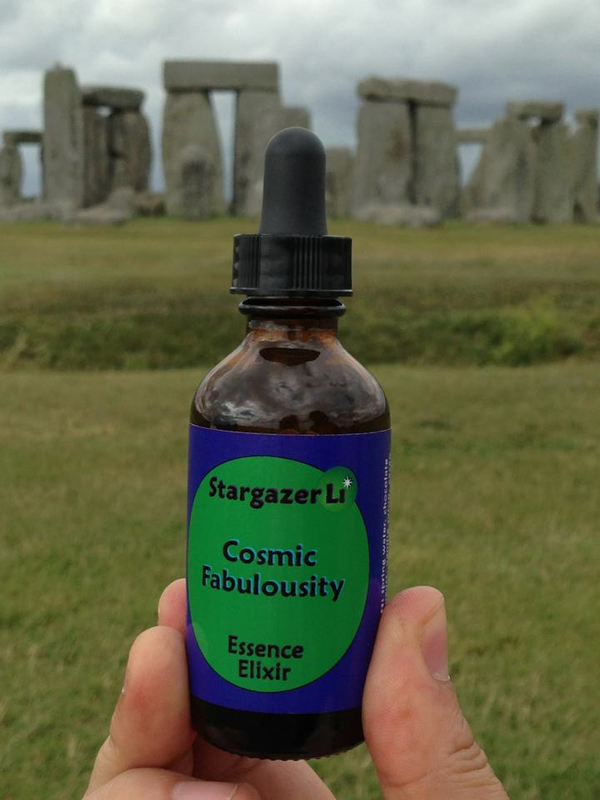 Each handcrafted Essence Elixir is blended from a variety of planetary, tree, rock, flower, or journey essences to support you in transforming and embodying new energies in these times. Now, you can share YOUR stories and reviews of the essences, and read those from others! Just click the buttons below for Reviews & More. And, feel free to email me your photos of dosing in amazing places and ways! Buy Any 4 Essence Elixirs or Planetary Essences and get a 5th free. Ingredients: spring water, hazelnut liqueur, brandy, and an essence of the making of a hat, water-soaked cedar bark handwoven over many days, taking how long it takes, teaching respectful humility. Ingredients: spring water, honey and elderflower liqueurs, total lunar eclipse-gathered rain water, and the gently uplifting shine of the newly replenished and once again Full Moon. Ingredients: spring water, chocolate liqueur, port, and the essence of being All In, the dignity and self-respect that come from bringing our selves fully to each moment, honing mastery. Ingredients: spring water, honey liqueur, and the essence of soft solid sweetness, the connected withness, of Us in This together. Ingredients: spring water, chocolate, honey, and hazelnut liqueurs, cacao essential oil, and the essence of this, this moment, us in this together with life and the universe, right now, this. Ingredients: spring water, vanilla and honey liqueurs, rose water, and the harmonizing syzygy essence of black-faced Moon totally eclipsing Sun, while nestled close to the Heart of the Lion, and Sun re-emerging, renewed and courageous. Ingredients: spring water, honey and elderflower liqueurs, and the essences of a black pearl, a white pearl, and a Total Lunar Eclipse ocean-soaked pink pearl; the three fullnesses of the Moon. Ingredients: spring water, pecan, root beer, smoked black tea, and allspice liqueurs, and the essences Total Eclipse of the Heart, 3 Pearls, and Restoring the Lizard Pond and the House of the Moon. Ingredients: spring water, vanilla, allspice, and cinnamon liqueurs, gold, and the essence of knowing, drinking deeply and taking in fully, that we might cherish and praise. and the essence of living today, all the way. Ingredients: spring water, cherry and macadamia nut liqueurs, and the planetary essences: Saturn Sipper, Pluto Potion, Sun Shine, and Mars Mead. Ingredients: spring water, chocolate liqueur, cacao essential oil, and the essence of moonlight caressing skin, completely surrendered beingness, trusting the moment. Ingredients: spring water, chocolate and hazelnut liqueurs, brandy, cacao essential oil, and a blend of the essences Restructuring and Riding the River. Ingredients: spring water, vanilla and butterscotch liqueurs, brandy, and the essences Jupiter Juice and Beyond Time with Sister Infinity (stepping through a doorway into infinity). Ingredients: spring water, black current/cassis liqueur, brandy, and the essence of the Full Moon shining us into the Serpent Moon New Year, made in a vessel wrapped in the serpent skin from a belly-up figure-eighted serpent found in that same spot at the moment of the prior Full Moon conjunct Pluto eclipse. Ingredients: spring water, chocolate and mint liqueurs, vanilla syrup, cacao essential oil, and the essence of finding and expressing our true voices and gifts with playfully relaxed grace and dignity. Ingredients: spring water, walnut and pear liqueurs, Chrysanthemum Stone and Apache Tears essences, Saturn Sipper, and Moon Milk. Ingredients: spring water, hazelnut and raspberry liqueurs, and the essence of returning, again and again, to stand in our place of origination. Ingredients: spring water, chocolate and hazelnut liqueurs, and the essence of sitting outside with friends, learning and remembering ancient skills and ways through making beauty with our hands, as blissful participants in the resplendence of the natural world. Ingredients: spring water, peach liqueur, brandy, and an essence of the Summer Solstice sunset in the arms of a fruiting peach tree under which the deer slept in the tall grass during the springtime flowering. Ingredients: spring water, black current and hazelnut liqueurs, and the essence of shedding what’s no longer resonant nor true in living or relating, through honestly speaking what’s emerging as true, at a moment in time that offers release. Ingredients: spring water, pecan praline and chocolate liqueurs, and the essence of strengthening the emergence and experience of our authentic embodiment, met and loved by life. Ingredients: spring water, maple, douglas fir, and pecan liqueurs, and the essence of opening into being and experiencing gentle vast spaciousness as who we are. Ingredients: spring water, root beer, pecan praline, and allspice liqueurs, and the essence of being as we are, entering the village and marketplace in a mature way; without our doing a thing, withered trees blossom. Ingredients: spring water, mint liqueur, vanilla syrup, and the essence of waking up to being alive and present in a palpable and pervasive field. Ingredients: spring water, herbal liqueur, and the essence of women making magic, dancing and singing together, and dragonflies flying through droplets offered to the sparkling river. Ingredients: spring water, pecan, ginger, allspice, and honey liqueurs, brandy, and the essence of experiencing life as deeply satisfying, delicious, and just so good. Ingredients: spring water, port, chocolate liqueur, and the essence of two wizards in a field under the starry sky, remembering, and offering libations to the story of the timely dance of the universe. Ingredients: spring water, chocolate and honey liqueurs, cacao essential oil, and the essence of discovering and receiving life’s everpresent invitation to transform in this moment. Ingredients: spring water, raspberry and chocolate liqueurs, cacao essential oil, and the essence of exquisitely undefended murmuring hearts, whispering in the night. Ingredients: spring water, violet and honey liqueurs, brandy, and the essences of Spring Equinox sunset and sunrise, orange and purple tulips, tanzanite, rhodochrosite, peridot, garnet and centered stargazing. Ingredients: spring water, ginger and walnut liqueurs, and the essence of dissolving separation and melting into a long, deeply nourishing embrace that opens into an experience of presencing multi-dimensionally. Ingredients: spring water, chocolate and cinnamon liqueurs, brandy, cacao essential oil, and the essence of a moment of shared love that’s simple, relaxed and true. Ingredients: spring water, port, chocolate liqueur, and the essence of offering our deepest reverence and respect to each of the diverse manifestations of Life, as our beloveds, love spilling freely from our fullness. Ingredients: spring water, honey and hazelnut liqueurs, and the essences of Good Night, Entering the Cave, Bear, Nuts, and Here (a regenerated Elder tree in flower). Ingredients: rose water, raspberry liqueur, and the essences of apple blossom rain water, Venus Vermouth, Neptune Nectar, Moon Milk, Respite in the Rain, Entering the Cave, and 2 Wizards Journeying with 3 Storms. Ingredients: spring water, hazelnut and black currant liqueurs, and the essence of feeling the upwelling of a huge blessing, the utter joy of being shown that living the mythic stories of who we are is doing our sacred work and changes the world, initiated by the strong gaze of a turkey in full-feather fan. Ingredients: spring water, honey liqueur, brandy, & the essences Jupiter Juice, Saturn Sipper, and Neptune Nectar during a Grand Water Trine, intertwined with a Grand Earth Trine, making a Grand Sextile. Ingredients: spring water, honey liqueur, and the essences of Moon Milk and Neptune Nectar. Ingredients: spring water, kahlua coffee liqueur, and the essences of a blue-bellied lizard, a journey embodying the hatching and renewal of vital energy, and sweeping along the Milky Way. Ingredients: spring water, maple & douglas fir eau de vie waters of life, and the essences of the North Star, 13 Egrets in a pond to the north in stillness, and being Here experiencing a regnerated Elder tree in flower in the northeast. Ingredients: spring water, douglas fir eau de vie and honey liqueurs, and the essence of peacefully and humbly welcoming the unfolding of life, and all the natural beauty of its impermanence and imperfection, without craving anything else. Ingredients: spring water, whiskey, cognac, honey liqueur, and the essences of three days of gentle rain’s water and an ocean-smoothed Maui lava rock. Ingredients: spring water, pomegranate liqueur, amaretto, 1 Red Dragon Rain Water, and infusions of Salvia Divinorum, a San Pedro journey, Pluto Potion, Jupiter Juice, a Scorpion, and Three Storms. Ingredients: spring water, hazelnut and raspberry liqueurs, and the essence of skywalkers being gifted tools and signs, and divining the living of the journey’s way. Ingredients: spring water, root beer, pecan praline, and allspice liqueurs, and the essences: The Now of Wow, Becoming, Time Warping, Star Wizard’s Attuning. Riding the Arrow’s Song, Entering the Cave, Bear, & And Then What Happens…? Ingredients: spring water, honey bourbon liqueur, and the essences of a skywalking cave journey and a shamanic cave initiation. Ingredients: spring water, hazelnut and honey liqueurs, and the essence of a life-altering moment of being shown our storied destiny, and feeling its descent through our bodies and beings into the unfolding reality of our lives. 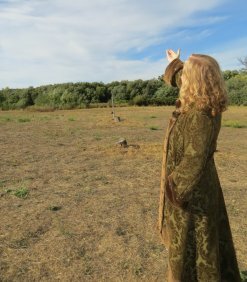 Ingredients: spring water, honey liqueur, brandy, and the essence of the hot wind from a Dragon’s exhale, having swallowed and released the Sun, blowing through a starlit field and the lingering storytellers and rememberers, echoed whispers of the emergence of culture. Ingredients: spring water, vanilla liqueur, butterscotch schnapps, and an essence of stepping through a door into infinity. Ingredients: spring water, citrus vanilla liqueur, and the essences of Winter Solstice Rainwater, Moldavite, and Gold. Ingredients: spring water, hazelnut liqueur, brandy, and the essence of newly fallen chestnuts gathered from under the tree, near the serpent portal, fed to pools for feeding fish, and infused in waters offered to three levels in nine directions, vessel filled with answering rain. Ingredients: spring water, smoked black tea, sarsaparilla, pecan, and allspice liqueurs, and the essences of the Moon Wizards year conception day, the Winter Solstice 2010 Total Lunar Eclipse within the Sacred Hoop at the edge of the galaxy, and 2 Wizards Journeying. Ingredients: spring water, coffee liqueur, cacao essential oil, and the essences Restoring the Lizard Pond and the House of the Moon, Beyond Time with Sister Infinity, and the Now of Wow. Ingredients: 2 Essences of Your Choice, a Gift Certificate for 2 Additional Essence Elixirs of Their Choice, an Essence Menu, and Essence Dosing Instructions, all beautifully wrapped in a lovely gift bag. Specify which 2 Essence Elixirs you would like included in the Gift Bag in the Notes section when placing your order. Explore the Planetary Essences too. Swirl around in the Cosmic Mists! All material and information presented by Stargazer Li is intended to be used for educational or informational purposes only. These statements have not been evaluated by the U.S. Food and Drug Administration. Individual results may vary. These statements and products are not intended to diagnose, treat, cure or prevent any condition or illness. Please consult with your physician or health care practitioner regarding the suggestions and recommendations made by Keeping Time, Stargazer Li, or Cheryl Li Walter.